In theory, all music on your iPod should also be in your iTunes music folder. The exception to this might be if you haven’t consolidated your music library into your iTunes music folder. When you import a song into iTunes and subsequently to your iPod, iTunes keeps a record of where the file is located on your hard drive. If you were to delete the file from your hard drive, but never deleted it through iTunes, the song title and information would show in your library and playlists, but wouldn’t be found when you went to play it. If after searching through iTunes, and on your Mac or PC’s hard drives and attached storage devices, you can’t find the lost or deleted iPod music, you should turn to iPod data recovery software like Stellar Phoenix iPod Data Recovery. Stellar Phoenix iPod Data Recovery is a data recovery suite that can be used to find missing files, including deleted music. The software can also find missing or corrupted files in the iPod itself. Stellar Phoenix iPod Data Recovery works because when a file is deleted or lost; the information isn’t usually physically removed from the hard drive. What happens is that the space where the music was located gets marked as being available for use. If no new information is written to that location, the music can be recovered. Whenever you perform a task on your computer, data is written to the hard drive. Your iPod is no different. If the space a file occupied is considered available, it can be used, and the old file will be lost. With this in mind, it is extremely important to stop using the computer and or your iPod immediately! 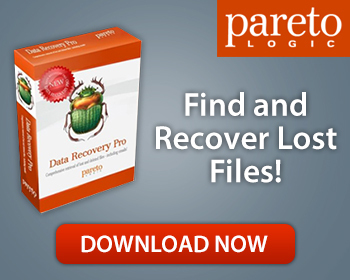 Leave the computer running and download data recovery software like Stellar Phoenix iPod Data Recovery. After you have installed the software, you can quickly locate and restore deleted iPod music. With up to 160gigbytes of music floating around on your iPod, odds are, you’ll have a missing or deleted song or two at some point. When that happens, try searching in iTunes, then on your PC or Mac to find and restore your iPod. If that fails, use software such as Stellar Phoenix iPod Data Recovery to get your favorite songs back where they belong.